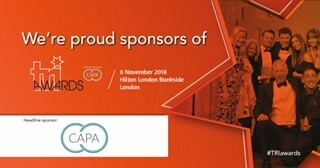 CAPA has been appointed to undertake a rates audit across nearly 60 sites at Bags Etc Ltd – the latest high street retail chain to collapse into insolvency. A national luggage and handbag retailer that had grown since its 2003 inception into a £20m turnover business, Bags Etc traded from 58 shops around the UK and Ireland. The company also employed about 350 staff across its stores and warehouse operations. Headquartered in Harlow, Bags Etc had experienced severe financial difficulties in recent years due to similar problems that are now having an impact on many other retail chains. The retailer had a number of stores that were loss-making as consumers moved to stronger, premium and central shopping centres. This left the Bags Etc stores located in more suburban shopping centres struggling to turn a profit. Wider issues in the retail market had also affected Bags Etc, as consumers shifted towards online platforms instead of visiting stores. Ultimately, the company called in liquidators from CVR Global, the business advisory firm, and Bags Etc entered liquidation on May 1 2018. The company’s liquidator Elias Paourou, a partner at CVR Global, has now instructed CAPA to conduct the rates audit on all 58 sites. The instruction means CAPA will now undertake a forensic audit of rates paid out across the properties. The team will use bespoke software to inspect the data and uncover errors or any anomalies, such as overspend, that enable them to recover cash for the creditors of Bags Etc.